As we embrace the upcoming year, there are more exciting things to await in 2013. 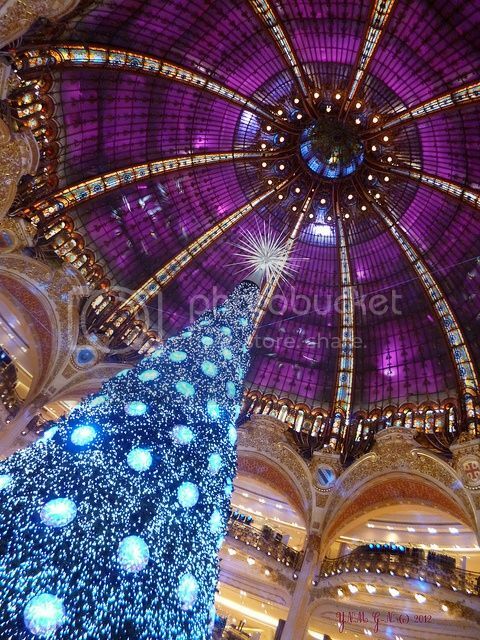 One of them is the opening of the famous department store originated in Paris, Galeries Lafayette. In France itself, Galeries Lafayette, located at Boulevard Haussmann, has been around since 1895, and it has expanded to New York, Casablanca, Dubai, and Berlin. Yep you heard it right, the Galeries Lafayette will open its doors in Pacific Place, Jakarta in 2013, making it possible for customers to gain access to brands not available before in the city and boosting Jakarta as the growing capital in South East Asia as well. 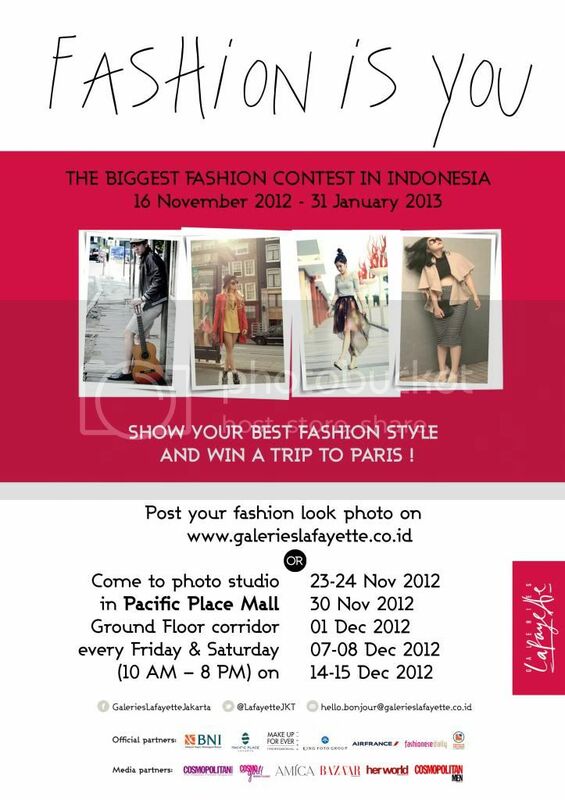 In conjunction to the opening Galeries Lafayette Indonesia is holding a competition, namely Fashion is You. Known as La Mode C'est Vous in France, it is a nation wide competition to promote individual fashion style. You can upload your pictures to their website from Nov 16 to Jan 31 for a chance for a trip to visit Galeries Lafayette flagship store in Paris! From all of the entries there will be 40 semifinalist, which then 10 finalists will be picked by public voting. Lastly, 2 winners, selected by the judges will be flying to Paris! Click HERE to join this exciting competition now and post your best pose!